Between February 5 and 23, Ernst & Young conducted a survey of of 1508 employees in large companies in 14 AsiaPAC countries. Their findings showed that fraud prevention is no longer limited to being a legal and compliance issue. 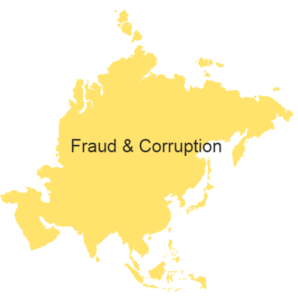 The survey, Fraud and Corruption – driving away talent?, found that a whopping 80% of employees based in the greater APAC region claimed they would be unwilling to work for companies involved in bribery or corrupt practices. According to Rob Locke, lead partner of Ernst & Young’s Fraud Investigation and Dispute Services in Australia, strong leadership strategy is key to ensuring that employees feel their company is working ethically. That speaks volumes. Unfortunately many organizations world-wide don’t pay heed to this. Given the fight for talent in the APAC region, the Survey reveals a compelling new reason for executives and boards to revisit their fraud, bribery, and corruption risk mitigation strategies. To date, the incentives to get compliance right have centered on minimizing financial losses, reducing the management time required to investigate and remediate issues, and preventing the reputational damage caused by corruption. But with most of the 1,500 respondents rating ethical practices as an important factor to saying in a company, there’s even more reason to manage fraud, bribery and corruption risks effectively. Failing to do so could see promising talent avoid working for organizations and cause the best employees to jump ship, leading to higher attrition rates and expensive recruitment campaigns, in an already difficult market to retain staff. More than a quarter of respondents said that although their colleagues are aware of corrupt behaviour, it goes unreported. It was also found that whistleblowing hotlines are either missing or underused. Although over half of APAC companies have hotlines in place, the amount of respondents willing to use them has dropped by a third since the 2013 survey. Compliance starts at the top. Leadership must engage proactively in compliance activities, and demonstrate and communicate ethical behavior. Executives must ensure the organization reacts quickly and effectively to any policy breaches, and support investment in compliance technology and training. This survey has some interesting statistics that prove why a whistleblower hotline is such an important piece of any organization’s compliance program. Download an eBook today!